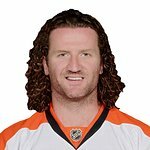 With hockey All-Stars Brad Richards and Scott Hartnell captaining their respective teams, additional players have been added to the “Operation Hat Trick” charity-game roster, all to benefit families affected by Hurricane Sandy. Henrik Lundqvist, Steven Stamkos, Daniel Alfredsson, Corey Perry, Marc Staal, P.K. Subban, Justin Williams, Andy Greene, David Clarkson, Dan Girardi, Matt Martin, and the great Martin Brodeur have each agreed to lend their on-ice talents to help raise much needed funds to benefit the Empire Relief Fund, NJ Hurricane Sandy Relief Fund and the American Red Cross. “The level of commitment from these hockey superstars is amazing – we are literally fielding calls on an hourly basis from players looking to do whatever they can to help raise money for Operation Hat Trick,” said Don Marrandino, Eastern Division President for Caesars Entertainment. “With this lineup led by Richards and Hartnell, world-class sponsors on board so far, and the overwhelming demand for fans to see a hockey game, this event was a natural hat trick right from the start. We’re proud to be affiliated with such an historic event and humbled by the unselfish support from these athletes,” continued Marrandino. Operation Hat Trick is set to take place in Atlantic City, N.J. on Saturday, November 24 at 7pm at Historic Boardwalk Hall. All proceeds from the event will go directly to the Empire State Relief Fund, the New Jersey Hurricane Relief Fund and the American Red Cross, aiding New York and New Jersey families affected by Hurricane Sandy. Tickets, which are priced from $20 – $100, can be purchased at the Boardwalk Hall Box Office, ticketmaster.com, all Ticketmaster locations, or by calling 800-736-1420. For more information about the event, visit www.facebook.com/atlanticcityheroes.